conversion. 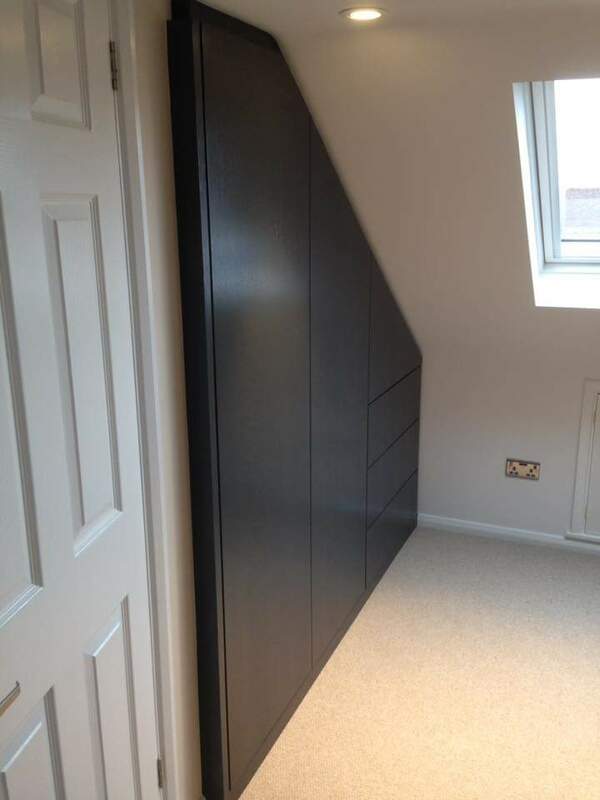 As is usually the case with loft conversions, people want to make the most of the space available, however, this can be a bit tricky within the eaves of the house. As you can see nothing but a bespoke piece of furniture would have worked within this room. 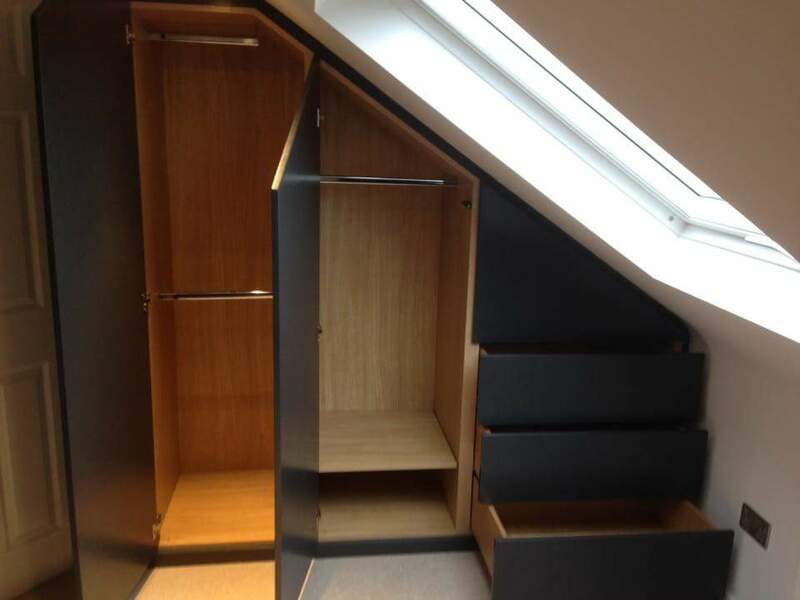 We have been able to create hanging space, shelves and drawers and even creating a little cupboard in the area above the drawers, that would otherwise be lost space. The exterior of this wardrobe is made from Oak veneered boards with a solid Oak 2mm edging for durability and finished with a grey polyurethane lacquer. 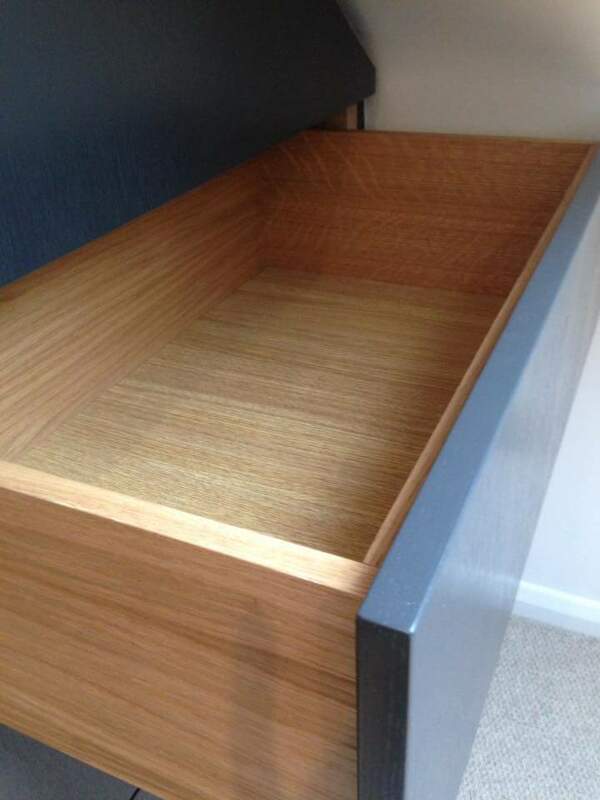 The veneer allows us to create a more interesting piece of furniture, instead of it being a flat colour, up close you can see the grain and texture of the veneer through the lacquer. The doors and drawers are all on Blum tip on push to open mechanisms, creating clean lines across the entire piece.